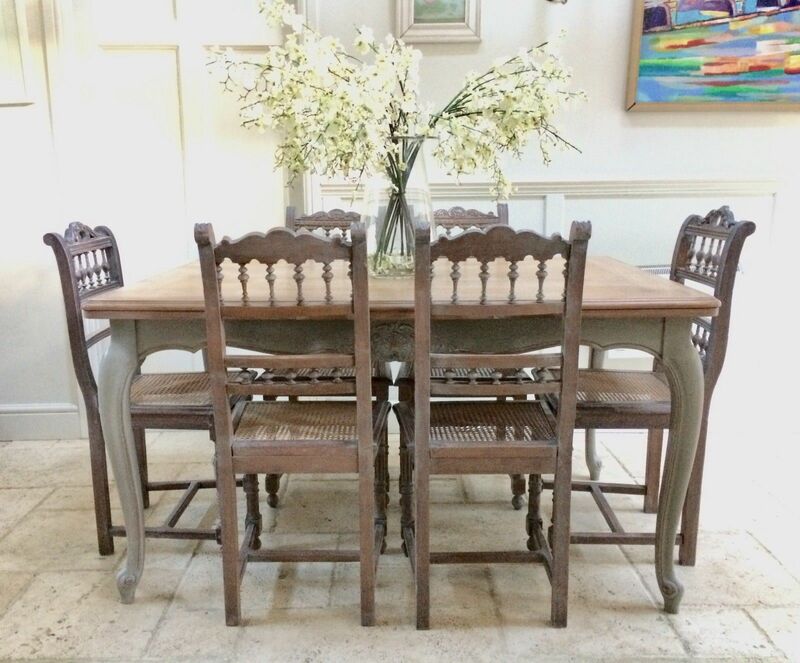 Vintage French Extending Painted Table & 8 Victorian Chairs. 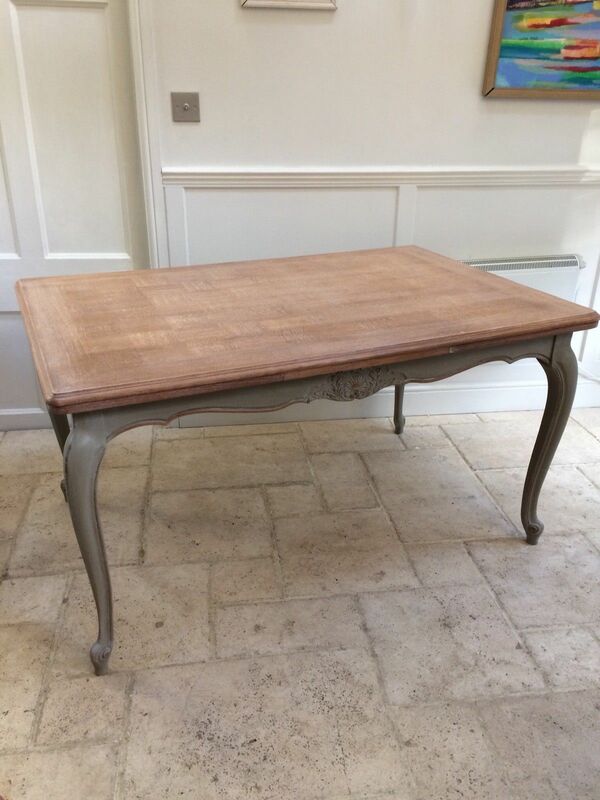 Charming French Vintage Oak Extending table in very good Vintage condition. 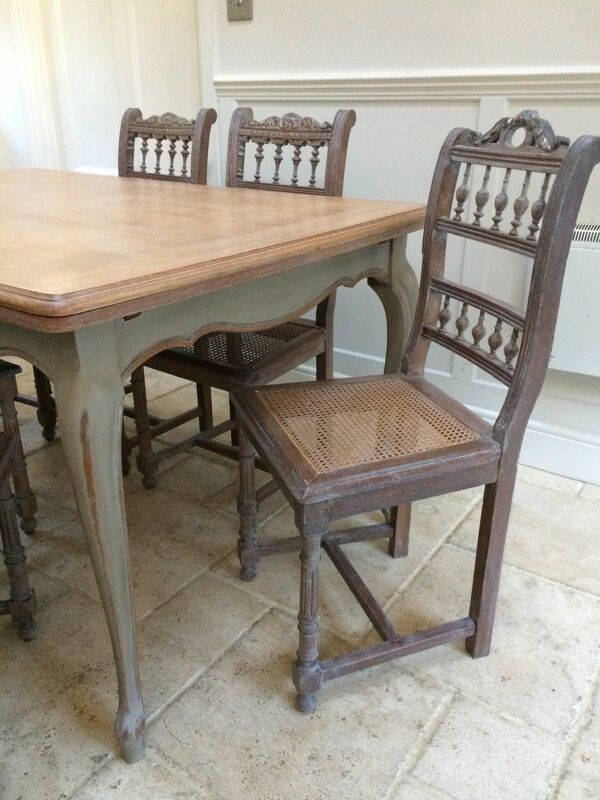 Sold with 8 Victorian carved rattan seat chairs. The chairs are not an exact set, there are 5 of one design and 3 of another but they are very similar. Rattan Seats are all intact, would benefit from a seat cushion for additional comfort. Obviously the chairs and table are from a different time period but they compliment each other well in that eclectic mix matched but still co-ordinating way. The table top has been sanded and rewaxed with a lime wax finish. 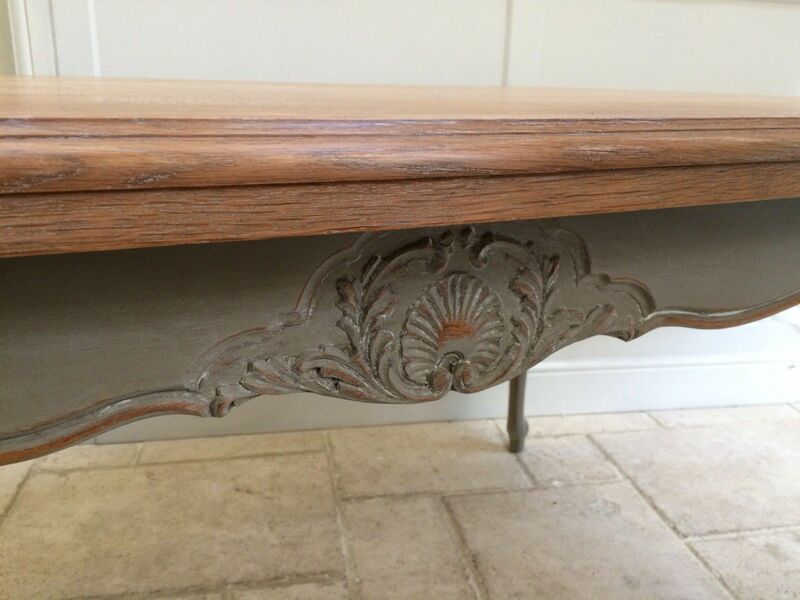 The legs and frame are painted in Annie Sloan French Linen with lime wax finish. 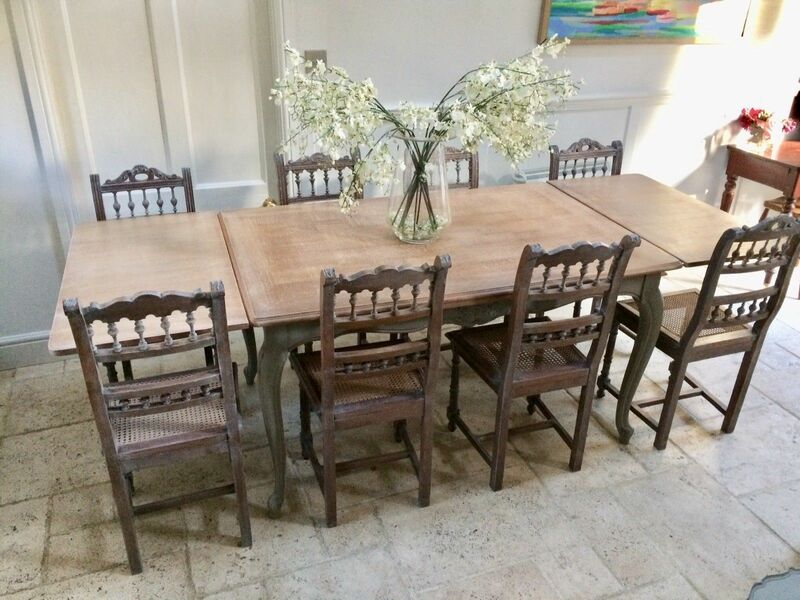 The chairs have a mix of lime wax and a very light French linen wash so that they also have a nice distressed feel to them. The wax finish on the table provides a reasonably hard wearing surface but is not waterproof and we would advise protecting the surface from heat and spills. The table will seat up to 10, but we only had eight chairs in useable condition. We do have a few that need the cane seats redoing if you have access to those skills we could throw those in. The table had two leaves that pull out from the main table, they are plain and do not have the the squared top as the centre piece. One of the leaves has a few small nibbles off the veneer along the edge - see photo.